Polish rabbi of the sixteenth century. He is the first known rabbi of the city of Ostrog, Volhynia, where he settled after having previously presided over a yeshibah in Lemberg. His daughter Lipka married Solomon Luria, who succeeded to the rabbinate of Ostrog when Haberkasten went to Palestine, about 1560. 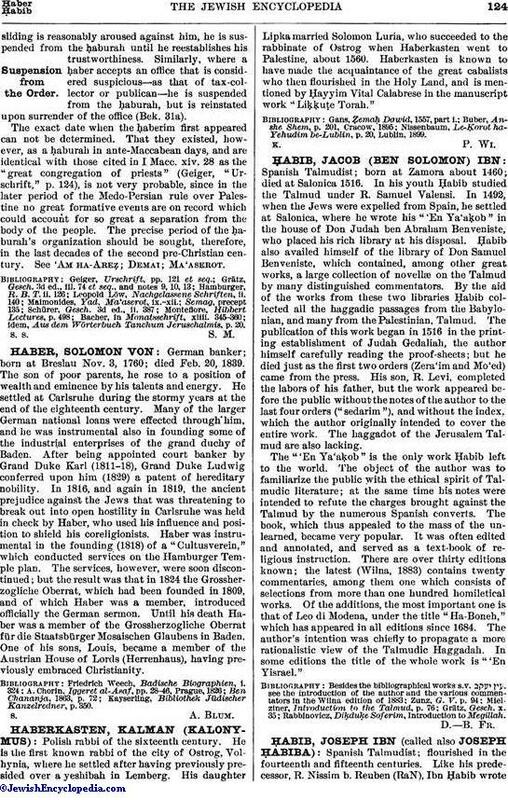 Haberkasten is known to have made the acquaintance of the great cabalists who then flourished in the Holy Land, and is mentioned by Ḥayyim Vital Calabrese in the manuscript work "Liḳḳuṭe Torah." Nissenbaum, Le-Ḳorot ha-Yehudim be-Lublin, p. 20, Lublin, 1899.